Great brands INSPIRE customers with their BELIEFS not with their PRODUCTS and SERVICES. Fallon’s John King nails what drives the new consumer: “Tomorrow’s consumers aren’t looking to buy; they’re looking to buy into something”. Great brands must have purpose, and we as consumers want to join them in that purpose. Great brands tell us WHY they do what they do. Then they tell us HOW they do it and finally WHAT they sell. Uninspiring brands tell us WHAT they sell and sometimes HOW they make their products, but the WHY is missing. 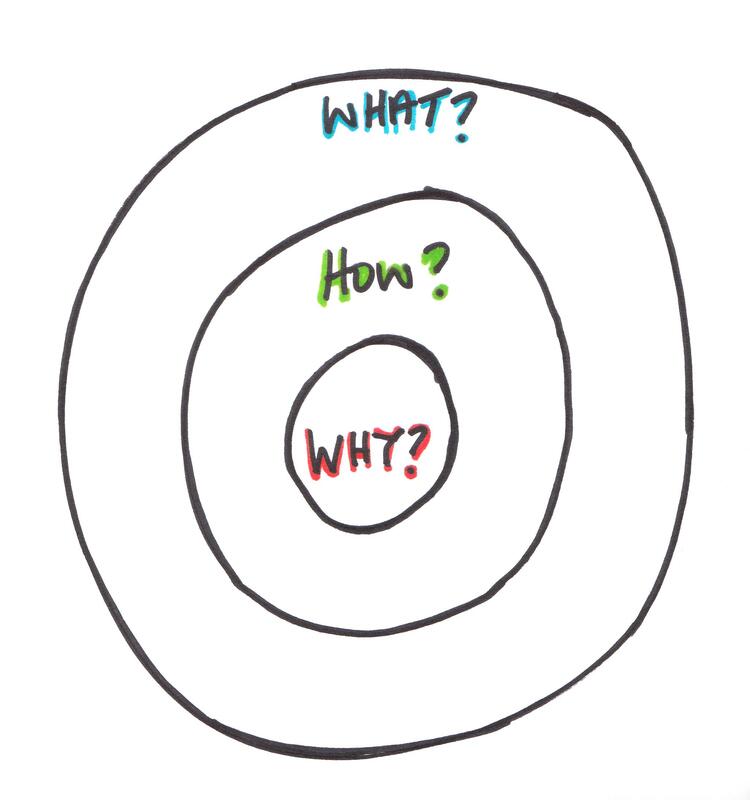 This approach to “leadership” was crystallised by Simon Sinek, he calls the Why, How, What the “Golden Cirlces”. Example: Pedigree pet food claims – “We’re for Dogs”, they don’t say “We’re for Nutrition” or “We’re for healthy pets”. Of course these are important things. We become customers and advocates for Pedigree because we share their passion and belief in Dogs. We want to join them in their efforts to promote the wellbeing of dogs everywhere. It’s their commitment to Dogs that convinces us that they would never do anything less than produce the best dog food. Its not good enough to be a trusted brand with quality products. It’s imperative to elevate brand goodwill to a new level to build true customer advocacy. A brand needs to first ask itself: WHAT’S OUR DRIVING PURPOSE OR BELIEF? or WHAT’S OUR BRAND’S CALLING?